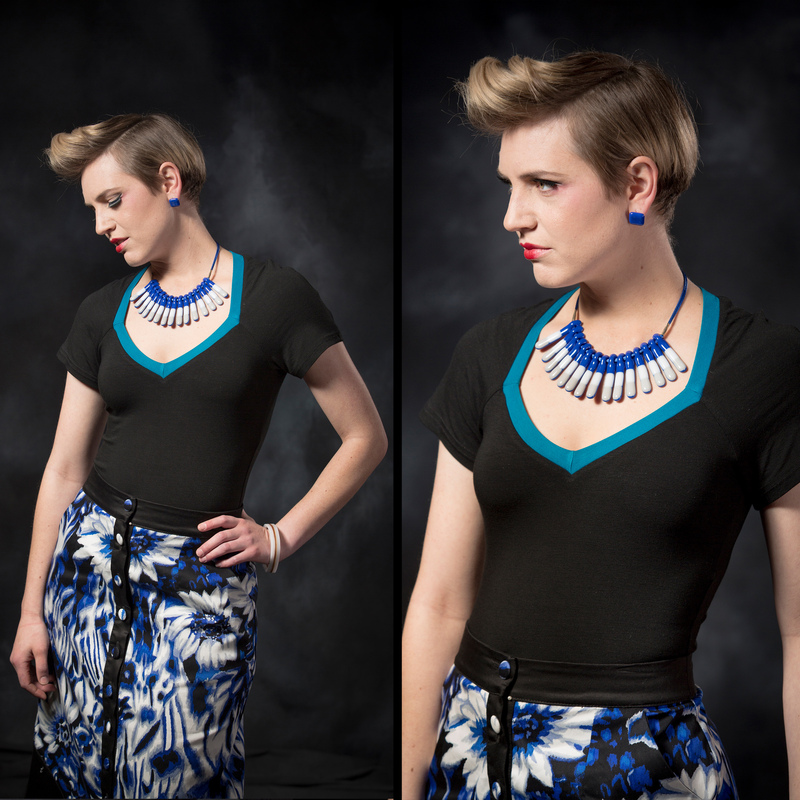 Jen is wearing the Kiki Tee in BLACK/jasper and the Satomi Skirt in ROYAL FLOWER/black. The Kiki Tee is the “Queen of T(ea)se”. With its contrasting feature neckline, raglan sleeves and contoured bodice, this will be your go-to top. Effortlessly stylish and wearable, team it back with your favourite separates. A variety of colour combinations are available.